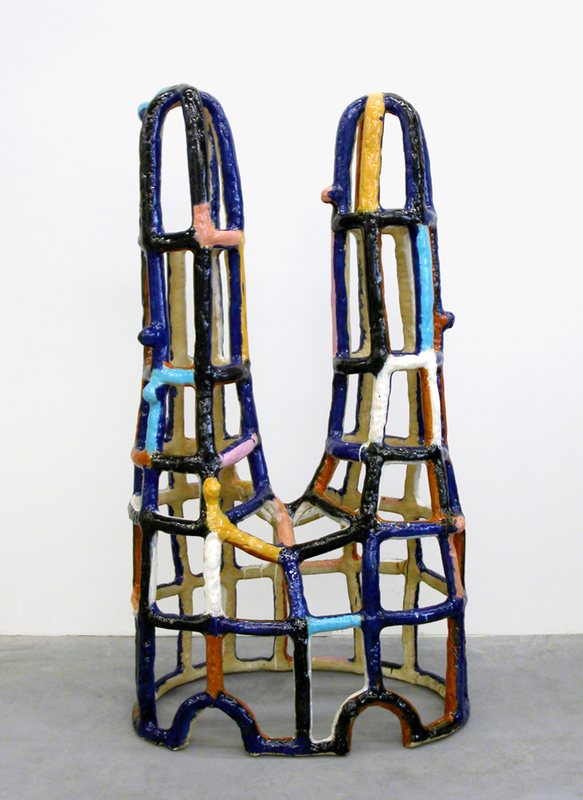 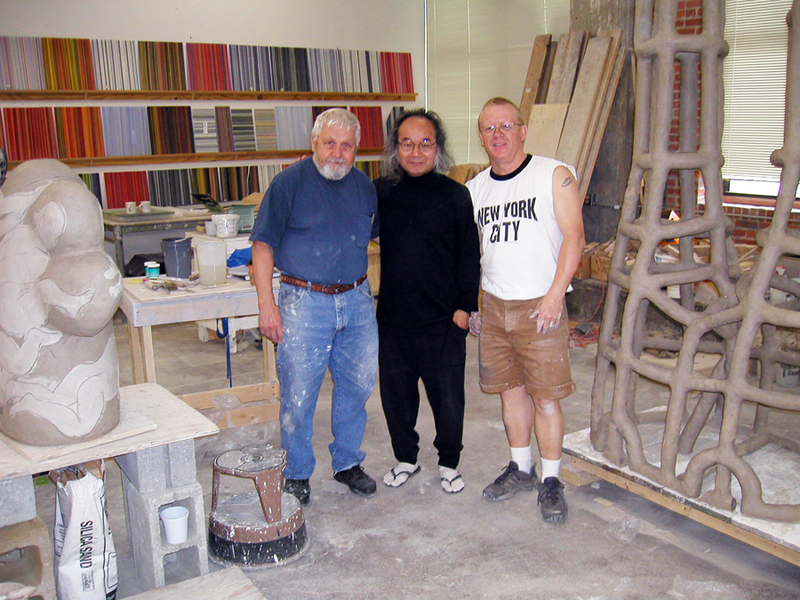 I also had the extraordinary opportunity to visit Jun and Ree Kaneko in Omaha Nebraska during 2003 and to work in ceramics again at Jun’s studio. 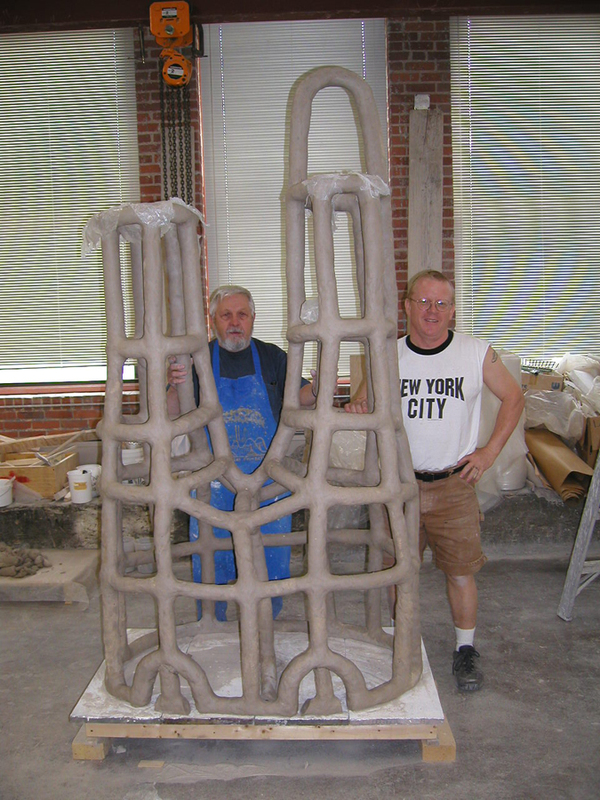 It was a great pleasure to work along side my mentor and great friend Rudy Autio there. 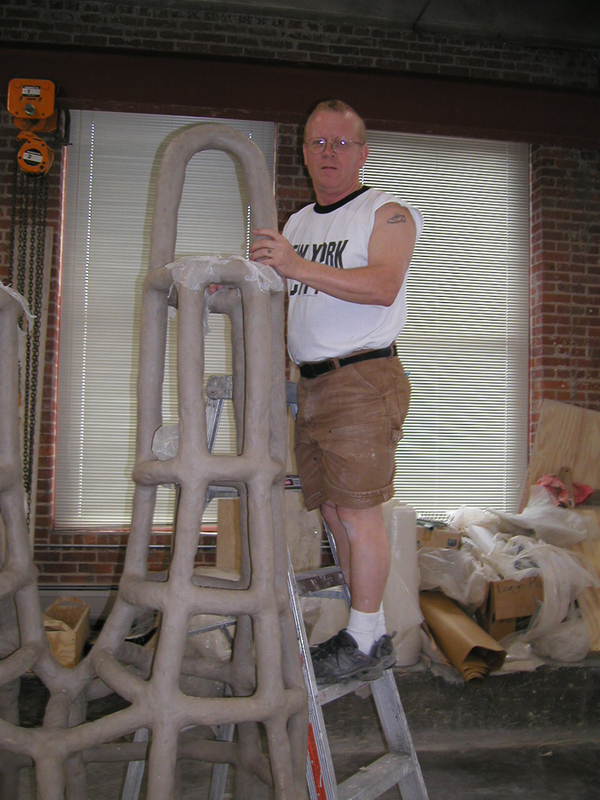 Here are a few working photos and the fired piece now in their collection at the Kaneko Museum, Omaha Nebraska.